Hey y’all. This is the last /r/writing post on beginner tips that I have prepared, I’m afraid. So that means I’ll have to come up with a new one by next Thursday or put the feature on hiatus for a while. I’m not sure which I’ll do yet. But we’ll see. Still, here it is. A short one today. And a link to the original post on reddit. Enjoy. Here it is in Ira Glass’s own words. This is an author, I’m afraid, who’s still on my “to read” list rather than my “already read” list (much like Gaiman and Miéville previously). Still, Zadie Smith wasn’t elected a fellow of the Royal Society of Literature for no reason, I’m sure. To start, let’s take a look at this video interview Smith did with Paul Holdengräber, live at the New York Public Library, which I found here on the NYPL website with a bunch of other interesting interviews of authors. Tell the truth through whichever veil comes to hand – but tell it. Resign yourself to the lifelong sadness that comes from never ­being satisfied. Find the original /r/writing post here. Today I realized I had been going over all this story structure theory for beginners and I hadn’t even touched on the most basic of basics, three act structure. I’m sure everyone here already feels like they have three act structure pretty well understood, but it never hurts to do a little refresher every now and again. One of my favorite places to start with studying three act structure is the often trusty Wikipedia. 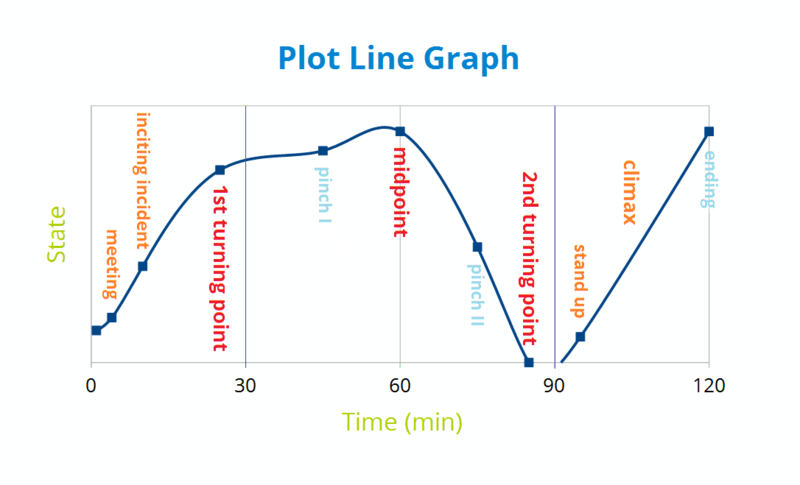 Particularly, I like the plot line graph they use in the article, which includes a few extra points (pinch 1 and pinch 2) that aren’t often included in images illustrating three act structure. The first pinch point reminds us of the central conflict of the story. The second pinch point, like the first, reminds the audience of the central conflict of the story, but it also is linked to the first. It shows the audience the threat (whatever it is that still stands in the way of the hero achieving his goal). The pinch point scene lays out what the hero has yet to conquer/overcome/accomplish. The entire article is a pretty useful simple explanation of three act structure as well, so be sure to give it a read. That, along with this little rehash of everything you just read (found on the College of DuPage website), should get you feeling comfortable with the most basic of basics and ready to go over the previous tips again (especially Miéville’s) if you didn’t feel comfortable with three act structure already when reading them the first time. Find the original post on /r/writing here. 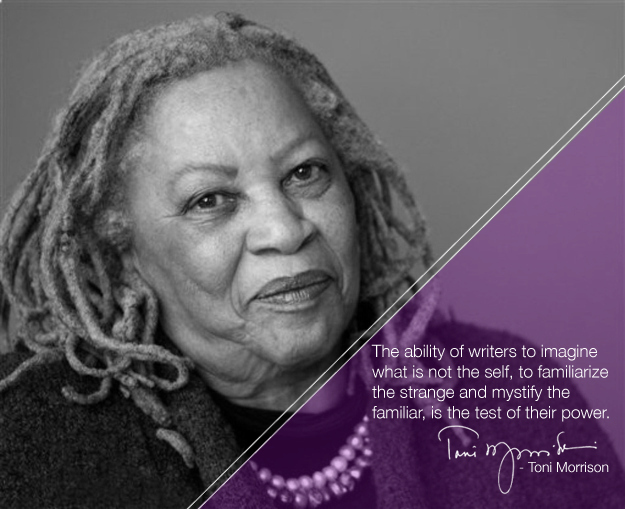 Today, let’s get a little more literary with the ever wonderful Nobel laureate Toni Morrison. Morrison, much like Le Guin in the previous tip post, doesn’t think very highly of the old addage write what you know. She believes that the ability of a writer to imagine what is not the self is the test of their power. I always get up and make a cup of coffee while it is still dark—it must be dark—and then I drink the coffee and watch the light come. 3. A good editor is “like a priest or a psychiatrist”. Morrison worked as an editor for Random House for 20 years before she published her first novel. She observes the relationship between writer and editor by saying that getting the wrong one means that “you are better off alone.” One of the marks of a good editor? She doesn’t “love you or your work,” therefore offers criticism, not compliments. 6. Plot is like melody; it doesn’t need to be complicated. Morrison sums up her approach to plot in Jazz and The Bluest Eye by saying “I put the whole plot on the first page.” Rather than constructing intricate plots with hidden twists, she prefers to think of the plot in musical terms as a “melody,” where the satisfaction lies in recognizing it and then hearing the “echoes and shades and turns and pivots” around it. Storytelling comes naturally to humans, but since we live in an unnatural world, we sometimes need a little help doing what we’d naturally do. Draw a circle and divide it in half vertically. Divide the circle again horizontally. 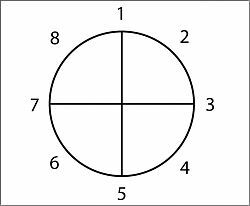 Starting from the 12 o clock position and going clockwise, number the 4 points where the lines cross the circle: 1, 3, 5 and 7. Number the quarter-sections themselves 2, 4, 6 and 8. Start thinking of as many of your favorite movies as you can, and see if they apply to this pattern. Now think of your favorite party anecdotes, your most vivid dreams, fairy tales, and listen to a popular song (the music, not necessarily the lyrics). Get used to the idea that stories follow that pattern of descent and return, diving and emerging. Demystify it. See it everywhere. Realize that it’s hardwired into your nervous system, and trust that in a vacuum, raised by wolves, your stories would follow this pattern. I will talk in greater detail about this pattern in subsequent tutorials. And do be sure to check out Story Structure 102 and beyond. Dan Harmon is great at what he does. Enjoy until next time. Today I’d like to discuss Margaret Atwood, one of my favorite speculative fiction authors. Here she is in video format talking about why we tell stories. She thinks it’s in human nature to do so, much like Dan Harmon did in an earlier tip post . Moving on to a short story she wrote, Happy Endings, we’ll find again some of Atwood’s thoughts on storytelling. With the odd structure of this “story” she seems to be saying, “It’s not the end of a tale that matters but the meaty bits in the middle.” Right here you can find a decent, if short, analysis of the story to serve as a jumping off point for conversation. Take a pencil to write with on aeroplanes. Pens leak. But if the pencil breaks, you can’t sharpen it on the plane, because you can’t take knives with you. Therefore: take two pencils. If both pencils break, you can do a rough sharpening job with a nail file of the metal or glass type. Take something to write on. Paper is good. In a pinch, pieces of wood or your arm will do. If you’re using a computer, always safeguard new text with a ­memory stick. Do back exercises. Pain is distracting. Hold the reader’s attention. (This is likely to work better if you can hold your own.) But you don’t know who the reader is, so it’s like shooting fish with a slingshot in the dark. What ­fascinates A will bore the pants off B. You most likely need a thesaurus, a rudimentary grammar book, and a grip on reality. This latter means: there’s no free lunch. Writing is work. It’s also gambling. You don’t get a pension plan. Other people can help you a bit, but ­essentially you’re on your own. ­Nobody is making you do this: you chose it, so don’t whine. You can never read your own book with the innocent anticipation that comes with that first delicious page of a new book, because you wrote the thing. You’ve been backstage. You’ve seen how the rabbits were smuggled into the hat. Therefore ask a reading friend or two to look at it before you give it to anyone in the publishing business. This friend should not be someone with whom you have a ­romantic relationship, unless you want to break up. Prayer might work. Or reading ­something else. Or a constant visual­isation of the holy grail that is the finished, published version of your resplendent book. You can find the source of today’s writing advice post right here. One thing to note before going on is that I’m not posting these to the blog here in the same order as I did to reddit, so you may see references to posts I haven’t made yet. Those links will just take you to an /r/writing self post and a glimpse of the future of this blog. No worries. It’s a wonderful way to think about possibilities. It’s a wonderful way to explore exotic politics. It’s a wonderful–it’s a freedom. It’s a way of doing anything you want. There are all sorts of walls around other genres. Romances, mysteries, westerns. There are no real walls around science fiction. We can build them, but they’re not there naturally. And if that wasn’t a good enough reason for you, you can check out this video snippet of a panel discussion filmed at UCLA in 2002 in which she discusses, among other things, how a bad movie encouraged her to get into science fiction. There are a couple more quotes in there if you’re into Butler as much as I am, but I’m pretty sure these ones contain the only writing tips. And in case you don’t try to avoid it, like Butler does, and want more theory, here’s a PDF by a couple of English professors in which they analyze and critically study the style and techniques of select Butler works. Enjoy until next time.